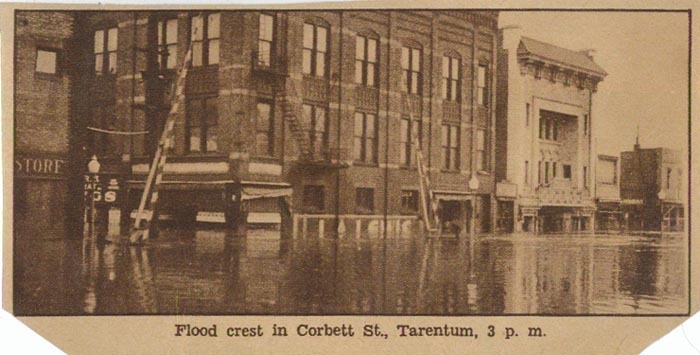 Flood crest in Corbett St., Tarentum, 3 p. m. Source: Pgh. Press, 1936, Pittsburgh, Pa. 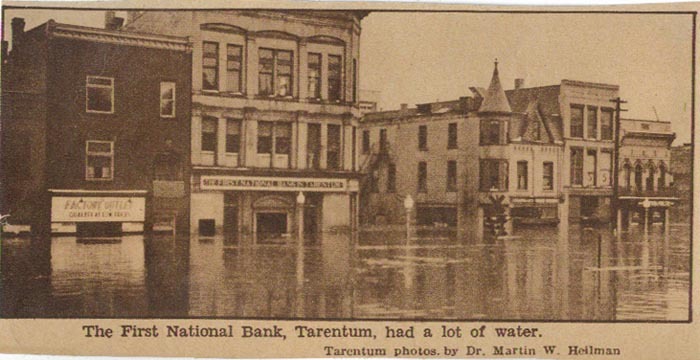 The First National Bank, Tarentum, had a lot of water. Tarentum photos by Dr. Martin W. Heilman.